In Spring it's not just fashion you can change up, i also think it's a great excuse to break out some seasonal makeup. I don't have a different makeup routine for each season, but i do think some lip colours and nail polishes are best suited to certain times of year. When you start to get a bit of a tan it's important to make sure your base is matching your newly bronzed skin tone. 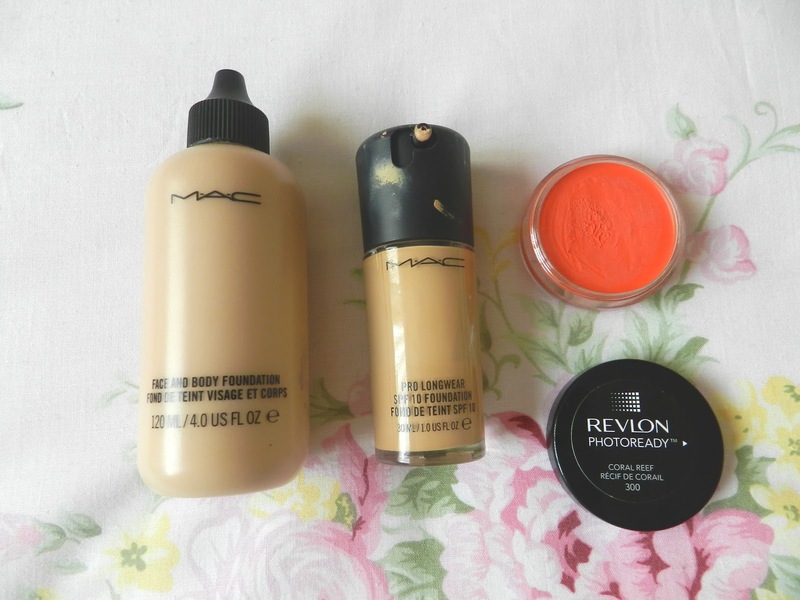 Sadly it's still a bit early in the season to have the chance to tan in the UK, but once i get a bit of colour i like to switch to my mac foundations. Face And Body gives a light and dewy finish in the warmer weather, and Pro Longwear Studio Foundation SPF 15 in NC20 is my darkest shade to match my tan. The Revlon Photoready cream blush is a vibrant coral/orange which really compliments tanned skin. 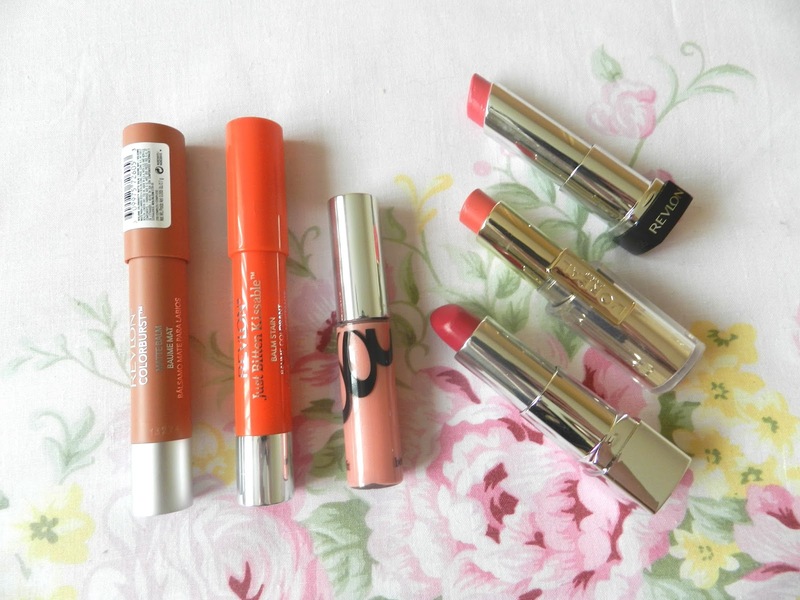 For lips i enjoy using brights, nudes and pinks. I'm not a fan of pink when it comes to clothes and accessories but i think they add a lovely colour to your lips in the Spring. Ranging from natural, to coral, to fuchsia there's a pink shade to suit everyone and i love experimenting with them all. I think nail polish is where you can have the most fun, and pastel shades are my favourites whether it be lilac, mint green, baby blue, pale pink, or any other delightful Spring shade. On the other hand i also love being able to wear neons and brights with blood orange, electric blue, lemon yellow and neon pink being favourite shades in my collection. How do you like to brighten up your look for the sunnier weather? That blush looks out of this world Kock-out colour *adds to shopping list*.